A degree in audio engineering from reputed sound engineering colleges is the dream of many aspiring DJs and musicians. The courses offered in these institutions help the aspirants to unleash their creative skills in music production. 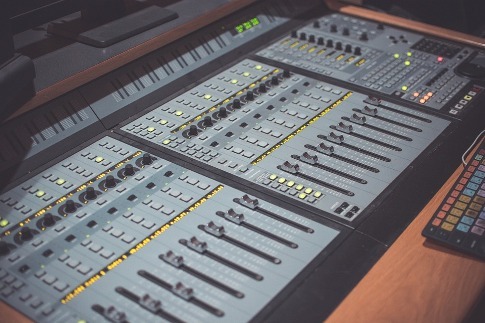 Although the music industry is a glitzy world from the outside, making your mark as a professional sound engineer calls for a lot of brainstorming, dedication, hard work, spending sleepless nights, and meeting tight deadlines. If you are prepared to brave these challenges, then you are fit to be a part of this industry. It is a great experience when you see that the song you composed becomes a blockbuster after it has been released. Look at the curriculum to see what topics are covered in the course. Figure out whether it is a balanced one or not or teaching you how to produce music more than audio design. A perfect curriculum is one where topics related to music production, sound engineering, live sound, and post production are covered in depth. Sound engineering is more about hands-on-experience than theoretical knowledge. Therefore, opt for the best music producing courses in Mumbai that offer maximum exposure to practical training. Ensure it has the right balance of theoretical and practical classes. To become an accomplished sound engineer, you must get sufficient time to spend in the studio as well as for production. Make sure that the institute has proper studios dedicated for students to work as well as adequate music workstations equipped with modern software applications like Logic Pro X, Pro Tools, Nuendo, and Ableton Live. Ensure that these are paired with an interface and MIDI keyboards. Enquire about the policy to work on such systems beforeenrolling as a student. Will you get sufficient exposure to thetools? A few music production schools let their students use the infrastructure from the day of enrollment while other does not. When it comes to faculties in a music production college, they are the pillars of the institution. Choose an audio engineering school that has qualified and experienced faculties to guide the students. Make sure the organization has the right number of music production and audio engineering teachers. A reputed school will also have visiting faculties from the music and entertainment industry, taking classes regularly. Ask about whether music workshops are conducted in the institution. If yes, inquire about the type of workshops. Ask how frequently they are organized. Before enrolling, inquire whether the school has proper placement opportunities. Inquire about their placement policies. You can request to see their records as well. Do they have a dynamic alumni network? Asking these questions is very important. Now that you know how to choose the best sound engineering college, make an informed decision.